This is a story about rivalry among artists. Not the kind of rivalry that grows out of hatred and dislike, but rather, rivalry that emerges from admiration, friendship, love. The kind of rivalry that existed between Degas and Manet, Picasso and Matisse, Pollock and de Kooning, and Freud and Bacon. These were some of the most famous and creative relationships in the history of art, driving each individual to heights of creativity and inspiration - and provoking them to despair, jealousy and betrayal. Matisse's success threatened Picasso so much that his friends would throw darts at a portrait of his rival's beloved daughter Marguerite, shouting 'there's one in the eye for Matisse!' And Willem de Kooning's twisted friendship with Jackson Pollock didn't stop him taking up with his friend's lover barely a year after Pollock's fatal car crash. 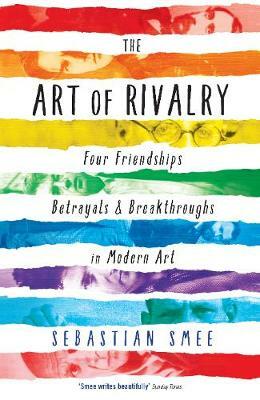 In The Art of Rivalry, Pulitzer Prize-winning art critic Sebastian Smee explores how, as both artists struggled to come into their own, they each played vital roles in provoking the other's creative breakthroughs - ultimately determining the course of modern art itself.